Initially breaking into the music business with surf bands in the 60’s (The Sentinels and The Cornels) and as a solo artist on Holiday Records, Denny Diante developed his production skills at Goldstar Recording Studios in Los Angeles. In 1968, he then became West Coast Director of Peer-Southern Music, one of the largest music publishing companies in the world. In 1972, Denny was recruited by Mike Stewart, the President of United Artists Records to join their A&R Department and produce their biggest artists. He produced a string of hits by Paul Anka, Ike and Tina Turner, Maxine Nightingale, the Grateful Dead and produced the Bob Weir group Kingfish. After a successful run at UA, he then joined RCA/Windsong Records ( the John Denver /Jerry Weintraub owned label) where he was VP of A&R and produced such artists as Maxine Nightingale, Starland Vocal Band and Kocky. In 1980, Mr. Stewart once again reached out to Denny with the opportunity to join him as VP at CBS Songs. After helping Mike successfully change April/Blackwood Music(CBS Music Publishing division) into CBS Songs, Denny was promoted to Vice President of A&R of Columbia Records Division, where he went on to produce such legendary artists as Barbra Streisand, Neil Diamond, Johnny Mathis, Bill Withers, Deneice Williams, Julio Iglesias….the list goes on. In l989, Denny moved to MCA Records as Vice President of A&R and Executive Producer where he achieved numerous successes as the only staff executive and producer. While at MCA, he produced and worked with such artists as B.B.King, Glenn Frey, Boston, Sheena Easton, Bobby Brown and brought to the label Comptown Records with co-founder EasyE of NWA. After leaving MCA and the corporate environs, in l997 he co-founded Outwest Entertainment, a record and film production company focusing on country music and releasing historical recordings. In 1999 he started Pipeline Music Inc., controlling the largest classical music archive in the world. In 2005, Denny decided to renew his first love of studio work and has begun producing again many new and established artists. He has since started both DD Productions, Inc, Jukebox Music Productions LLC and his own labels, The Original Holiday Records and Touch One Records. He is well-known and respected throughout the recording industry. During his career, Mr. Diante has produced such distinguished artists as Barbra Streisand, B.B. King, Elton John, Grateful Dead, Bobby Brown, Neil Diamond, Boston, Johnny Mathis, T.G. Sheppard, Sheena Easton, Paul Anka, Ike & Tina Turner, Merle Haggard, Jerry Lee Lewis, The Oak Ridge Boys, B.J.Thomas, to mention only a few. In addition, he has amassed many production credits in television and film. 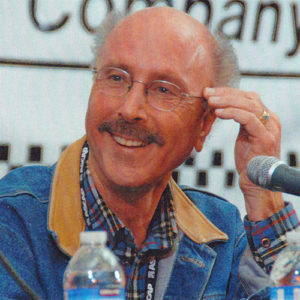 Overall, he has produced 26 Gold Albums and 8 Multi-Platinum Albums, has received 3 Grammy’s, a Cable Ace Award, an Academy Award nomination, and a Golden Globe Award, ASCAP and BMI awards, Ampex Awards, and numerous awards for production and arranging in such festivals as the Japan Music Awards, the Festival of Music of France and received the prestigious award from the Russian Federation as an Honorary Academician of the Russian Academy of Music. • Listed in Billboards Magazine’s Encyclopedia of 100 Most Successful Record Producers. • Written the forwards in both editions of Richard Schulenberg’s ‘Legal Aspects of the Music Industry’. Published by Billboard Books. • Taught the class Record Production and the Music Industry at UCLA. • Listed as one of the Top Producers behind the music, in ‘The Musician’s Handbook (A Practical Guide to Understanding the Music Industry)” by Bobby Borg. • Elected to The Rockabilly Hall of Fame. • Acknowledged in the book, “How to Have Your Hit Song Published” by Jay Warner, Published by HLB Publications. • Mentioned in the book “Songplugger or How Much is that Doggie in the Window? Written by Roy Kohn.